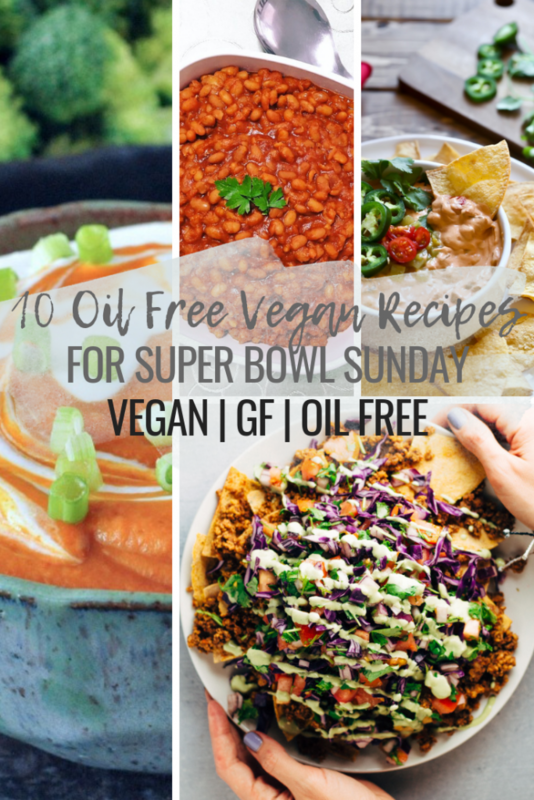 It's been a while since we've have a vegan recipe round up post around here, so what better time to showcase delicious vegan food than for Super Bowl Sunday? If you're still not sure what to prepare for your friends this game day weekend, or maybe you're going over a non-vegan friend's house and want to take something delicious that they will enjoy - you can definitely find something on this list. Enjoy friends and happy Super Bowl. This is a Sprouting Zen original, and a reader favorite, delicious vegan loaded nachos! Stacked with homemade nachos, sundried tomato walnut meat, guac, pico de gallo, and topped with a tasty nacho cheeze. A delicious cashew-based vegan queso that leaves the nutritional yeast out! Loaded with flavors of smoked paprika, vinegar, cumin, green chiles and more. Simple ingredients that deliver a delicious treat - this is perfect for those who are trying to keep things really healthy but still enjoy some sweet treats. A tasty Mediterranean inspired dish made with eggplants and no refined oil - perfect dip to enjoy with fresh veggies or chips! A healthier alternative to traditional buffalo chicken wings - plus these ones are drenched in a yummy sweet 'n sour sauce. A hearty, satisfying and low-fat dip that is full of yummy flavor! Slow cooker baked beans that is full of flavor - you won't miss the meat! Creamy and dreamy easy vegan guacamole made using a food processor with simple ingredients. Perfect for game day nachos and chips. This one is perfect for the meat-eaters in the family! How perfect do these 'bbq ribs' look? Of course, they're vegan but still full of so much delicious flavor! Refried bean dip with layers of sour cream, guac, salsa and homemade cashew cheeze. Want to see more recipe round ups? Check out 2018's SuperBowl Recipe Round Up. Yumm these all look so tasty! Thanks for including my baked beans!